Laura Van Velthooven is the toast of show hunter after winning three series titles aboard her very special Sirocco Daisy. The Palmerston North equine technician didn’t dare think the treble was possible, and to make it even more special, she also took the quinella in the ESNZ Amateur High Points Series, finishing second aboard her youngster Montbelle Donahue. 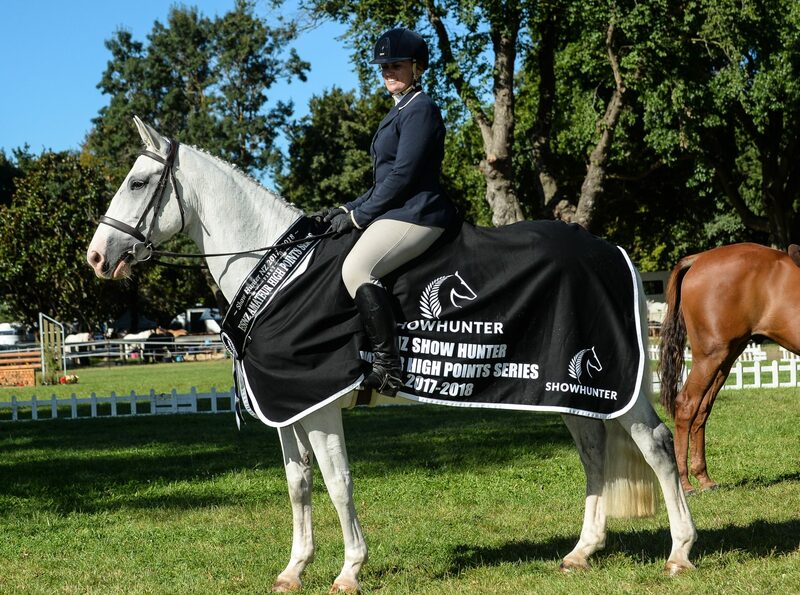 Van Velthooven is no stranger to success in show hunter, and last year won the ESNZ Amateur High Points Series. “It is very special to win that back to back with Daisy,” she said of the horse who is rising 18. She has had Daisy for five years and done a “little of everything” with her. In 2017 they were second in the ESNZ Adult Equitation Series and third in the NRM Open High Points Series – both titles she claimed this year. At the beginning of the year her biggest goal was to get her “very exciting” seven-year-old Montbelle going well. Daisy holds a very special place in the hearts of many, and in particular to John and Joan Couper who had her as a youngster, along with Van Velthooven’s trainer Gail Goodwin. At her parent’s home the family had to erect deer fences to keep her in. Van Velthooven is a big fan of show hunter. Sporting success seems to run in the Van Velthooven family – brother Simon has won two medals for cycling at the Commonwealth Games, three at World Champs and is now a member of New Zealand’s very successful America’s Cup team. ESNZ Amateur High Points Series: Laura Van Velthooven, Sirocco Daisy 69 points 1, Laura Van Velthooven, Montbelle Donahue 53 2, Macey Gill, Astin Martin II 47 3, Rosa and Anna Douglass, Tikity Tok 42 4. NRM Open High Points Series: Laura Van Velthooven, Sirocco Daisy 59 points 1, Sally Ward, Paradox 57 2, Merran Hain, Untouchable 43 3, Chloe Hansen, Enja MVNZ 42 4. ESNZ Adult Equitation Series: Laura Van Velthooven 77 1, Jo Craddock 57 2, Chloe Hansen 56 3, Rosa Douglass 44 4.